The distinctive black-and-red-hulled ketch Marie – a 54.9-metre Vitters from 2009 – once again proved her regatta credentials at the Superyacht Cup in Palma this month by winning three class races and the overall prize. 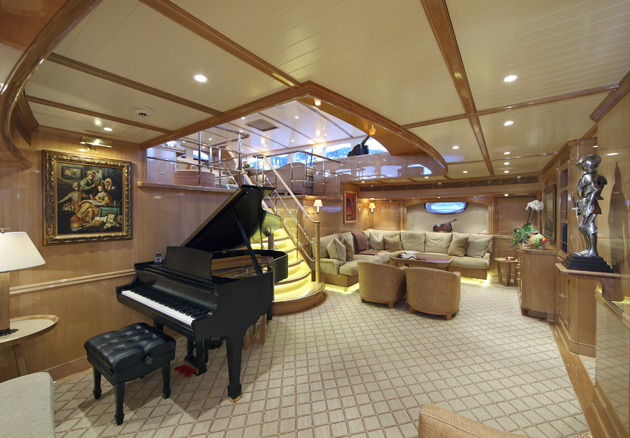 She charters through Burgess Yachts, and is available in the Caribbean this winter from $196,000 per week. A familiar sight at the world’s superyacht sailing regattas (and with a handsome portfolio of successes), Marie is also a comfortable cruising yacht, with accommodation for eight to ten guests. 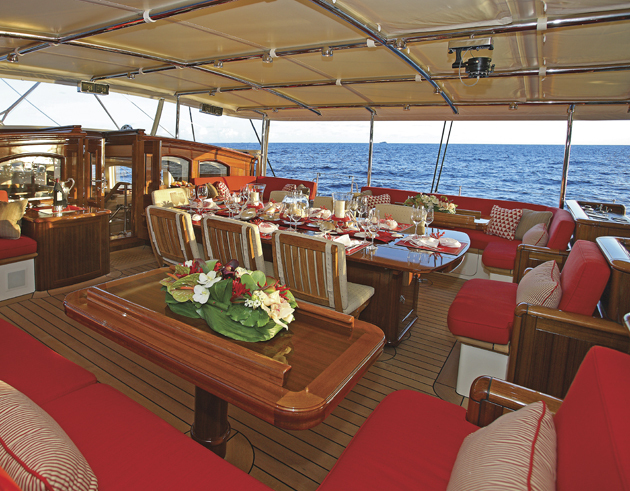 While the yacht boasts state-of-the-art AV entertainment systems on board, there are characterful quirks that hark back to sailing’s golden age: there’s even a miniature cannon (used to signal dinner), while among the toys is a replica 3.7-metre sailing dinghy – the 3.66-metre Marietta, based on a 1910 design. The crow’s nest has space for two guests and is over 35 metres above the waterline. Guests are accommodated in two doubles and two twins. The full-beam master double has its own private cockpit. One of the twins converts to a double, while both pullmans. A split-level salon is illuminated by large skylights, and a more formal setting below boasts a Steinway baby grand and a dining table.